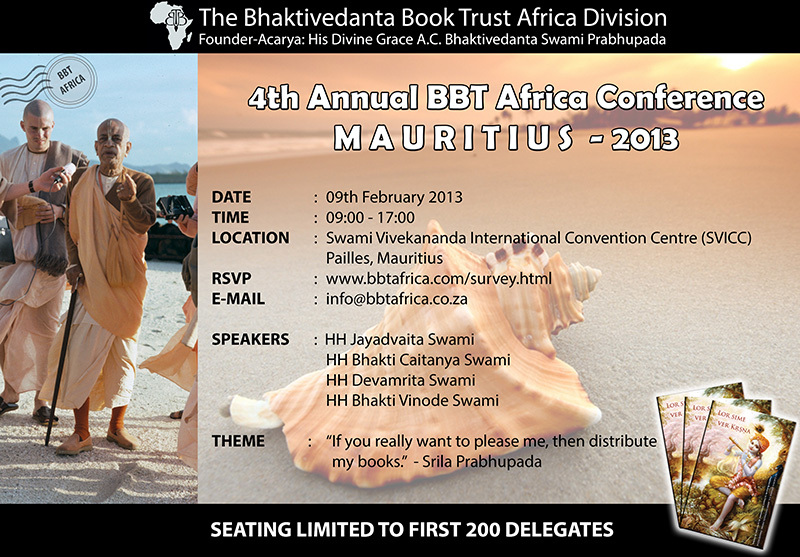 The Bhaktivedanta Book Trust (BBT) Africa Division hosts their 4th Annual conference on 9th February, in Mauritius. 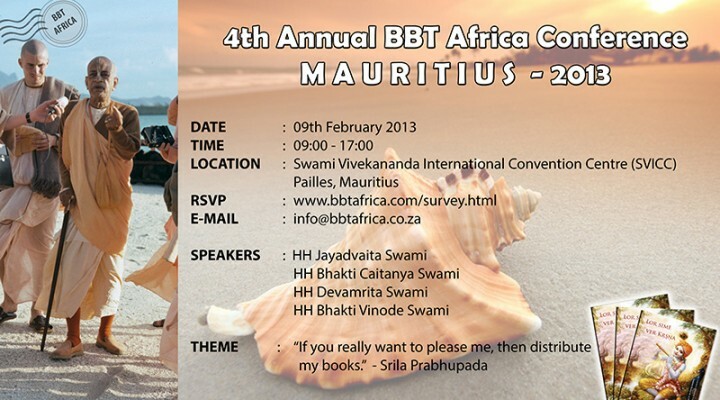 The BBT is the largest Vedic scripture publication company in the world. The African division has made many in-roads in making Srila Prabhupada’s teachings available to locals in South Africa and boasts publication of 4 isiZulu books and 2 Xhosa books thus far. This conference will discuss future plans for book production and distribution and international book trends.